The month of March falls right in the middle of Lent, and I am attempting to limit my internet time during this season. We will be back to our regularly scheduled programming in April, which is Child Abuse Prevention month. Willhoite, M. (1990). Daddy's roommate. Boston, Mass. : Alyson Wonderland. 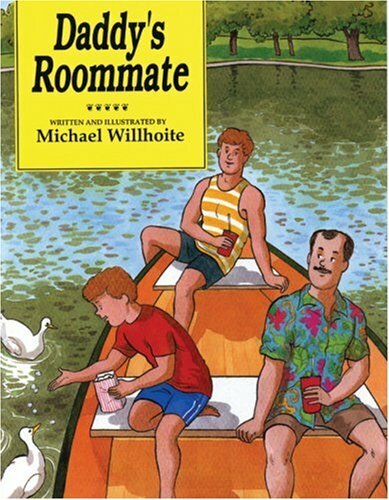 A little boy’s parents have just divorced, and his daddy has a new roommate. The boy’s mommy tells him that being gay is “just a different kind of love,” and the boy describes the fun times he has with daddy and Frank. Simon, N., & Flavin, T. (2003). 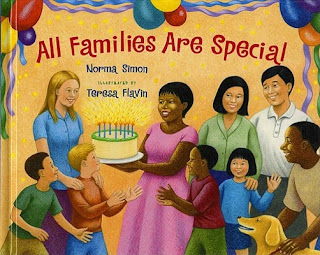 All families are special. Morton Grove, Ill.: A. Whitman & Co. When the teacher mentions that she will be visiting her grandmother, all of her students want to talk about their families. 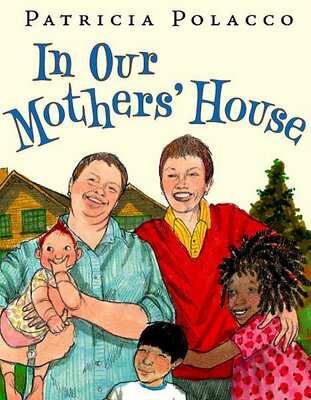 They soon discover that each student lives with a different kind of family, but that each family is special. Rella, T. (2010). Mom, Mama, and Me. 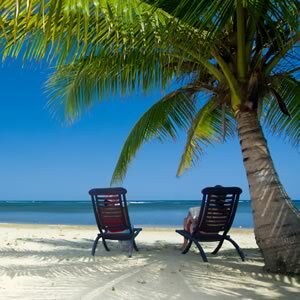 New York: CreateSpace. Jonathan isn’t sure what to say at school when people ask what his daddy does, because Jonathan has two moms. At home, he asks his mom and his mama about this, and they discuss the way they were able to adopt him and how special he is. Polacco, P. (2009). In our mothers' house. New York: Philomel Books. 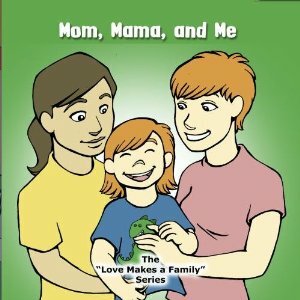 This story is narrated by a young girl who was adopted by two women. The little girl and her brother and sister grow up and love each other and their moms very much. This is a great way to introduce young children to different family situations and to model inclusiveness and understanding. 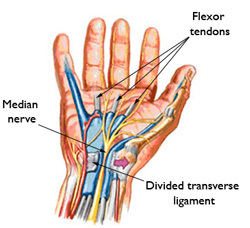 Parr, T. (2003). The family book. New York: Little, Brown. 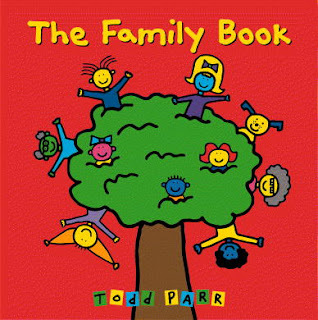 This book introduces young children to a variety of different family structures: single-parent families, adopted families, stepfamilies, and families with two mommies or two daddies. The emphasis is on the way the families are alike, not on their differences. Oelschlager, V., Blackwood, K., & Blanc, M. (2010). A tale of two daddies. Akron, Ohio: Vanita Books. This is the story of a small girl who answers questions her friends ask about her daddies. 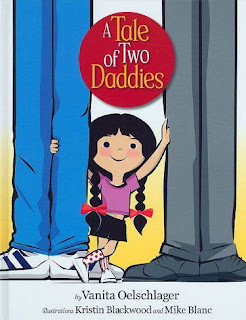 Each of her daddies loves her very much, and the rhyming story shows a loving family that cares for and supports the little girl.